(OPride) — A recent report by Ethiopia’s state-run TV Oromiyaa (TVO) on a new primary school curriculum change in the Oromia region has taken the Oromo social media by a storm. It’s now a subject of vigorous debate, as well as much confusion and discord among Oromo activists. 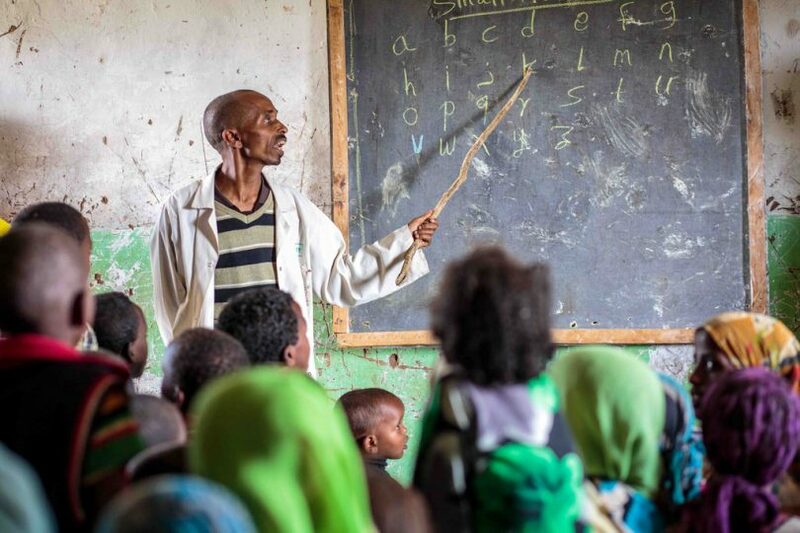 The Oromia Education Bureau introduced the new primary school curriculum three semesters ago, among other things altering the order of Qubee, the Latin alphabet that’s adopted in 1991 for writing the Oromo language. New books have been printed and distributed. Early grade teachers have been given training. Despite this, the sweeping changes completely and remarkably escaped public scrutiny in part because authorities unveiled it quietly in 2015 as popular protests roiled the Oromia state. While the changes were discussed during an educational symposium at Addis Ababa University in August 2015, unsurprisingly, no known local public and other stakeholder consultations were held before the changes took effect. It is worth noting that the TVO report follows a recent pattern by the state-owned regional broadcaster, which is showing signs of independence (?) by deviating from its established practice of regurgitating official propaganda. In fact, the report comes across as a subtle nod of disapproval to the regional education bureau. For one, the segment opens with the soundtrack of Ali Birra’s venerated 1976 song, “A, B jennee kaana.” Produced at a time when writing in Afaan Oromo is officially forbidden, Ali’s song was among the earliest contributions to the adoption of the Qubee in its current form. The report also features a sharp rebuke of the reordering of the Oromo alphabet by linguists, a rare journalistic form for an outlet that’s so accustomed to strictly toeing the official narrative — even far more than some of its regional counterparts. At any event, TVO and its journalists should be commended for bringing to light this important and consequential public interest story. However, the reporter’s decision to identify some of the linguists and Afaan Oromo experts who were involved in the development of the new curriculum is — to say the least — intriguing. In particular, the reporter went out of his way to mention two exiled Oromo activists who worked on parts of the said curriculum: Beekan Guluma and Yaazo Kababa. The duo were former Afaan Oromo lecturers and were apparently involved in the drafting and reviewing of some passages of the new curriculum. That they were mentioned in the brief TVO report is notable because both have in recent months become controversial in the Oromo cyberspace. Whether it was meant to stock further division among the easily distractible diaspora or to cast the blame further afield isn’t clear. But initial social media response has focused mostly on slandering the two individuals — perhaps even more than attempts being made to understand the research underpinning the changes. The USAID’s $90 million mistake? EGRA measured pre-reading and reading skills. It took approximately 15 minutes per child to administer one-on-one oral assessment and an additional questionnaire on the student’s background to assess out-of-school variables that may influence student achievement, according to RTI. In sum, RTI and the Ministry of Education assessed 338 schools and 13,079 students in grades 2 and 3 across eight regions and in six local languages (Afan Oromo, Amharic, Hararigna, Sidaamu Afoo, Somali and Tigrinya). 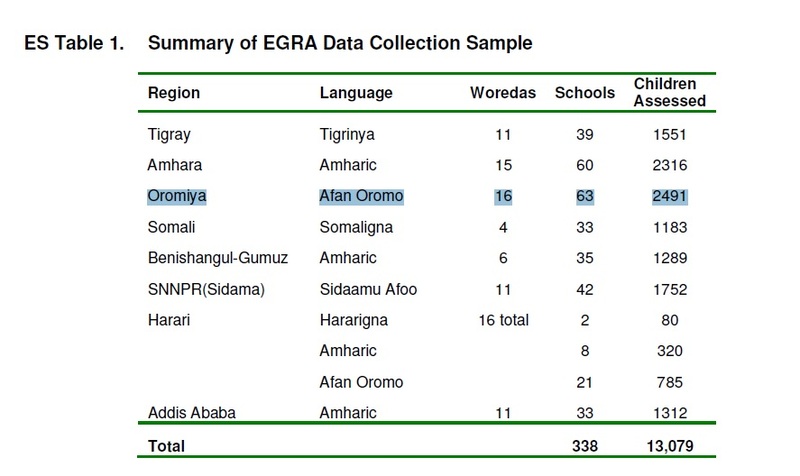 As shown in the table below, the study was done in 16 woredas and 63 schools across Oromia and involved 2491 students. Are children more accurate in reading Latin-script symbols than Ge’ez script symbols? What is the relationship between letter-naming accuracy and word-identification accuracy in Ethiopian languages? Do the relationships between letter-naming and word-identification accuracy differ by script type? Do these relationships differ by gender? Does the effect of script type differ by the age and grade of children? For example, do children require more exposure to Ge’ez script to learn at similar levels? Monitor and evaluate student learning progress—which we will be the program’s ultimate test. As part of that effort, in 2014, USAID acknowledged that RTI and READ developed a new national curriculum framework for reading and writing across different languages, regions, and grades together with the Ministry of Education. The ERGA study had many other eye-popping findings. For example, it said, only 1 in 6 children in Oromia had any other reading materials. “Although children attend school for two or three years, a significant percentage is illiterate,” according to USAID. “When asked to read a simple passage at a Grade 2 level, many regions had more than 30 percent of Grade 2 and 20 percent of Grade 3 unable to do so successfully, with children in Sidama zone and Oromia region particularly struggling.” But nowhere in the report does it say changing the order of the Afaan Oromo alphabet will improve reading outcomes. Provide training for teachers in reading methods and pedagogical techniques. Focus Grade 1 and 2 pedagogy most heavily on early reading acquisition and outcomes, noting teachers often wait too long to teach students how to read and expect too little from their young learners. Increase the amount of reading material in classrooms and encourage families to make reading a part of their daily family activity. In many schools, little reading instruction happened, though mother tongue class is a significant part of the day. There was far less interaction between teachers and students around letters, words, sentences, and stories than there should be. It is recommended that the in-service teacher professional development programs target the building blocks of reading and where possible, provide targeted lesson plans for teachers. Set literacy benchmarks. In November 2010, RTI presented the results of the assessments to five regional language groups to investigate current levels of reading fluency and comprehension and propose benchmarks as targets for policy reform. The regional language groups proposed oral reading fluency benchmarks for the end of grade 2 that correspond to the level of fluency required for at least 80% comprehension in five of the local languages. The proposed standard for Afaan Oromo was 70+ correct words per minute. Improve the quality of reading instruction. Use letter sounds and the fidel as building blocks for reading. Teaching decoding is critical. Many of the classroom observations in this sample revealed teaching situations where teachers pointed to words and encouraged the children to call out the word house. However, when faced with very similar words, those same children did very poorly because the pedagogy encourages the children to memorize particular words, and spends much less time training them in how to decode and “solve” new words. There is little disagreement on the core problem here: The education quality crisis in Ethiopia needs fixing. That Oromo students identified the Qubee letters far better than those studying in the Ge’ez script but they were significantly less proficient in reading Afaan Oromo words could very well be true. The disagreement here though is on the proposed solutions. 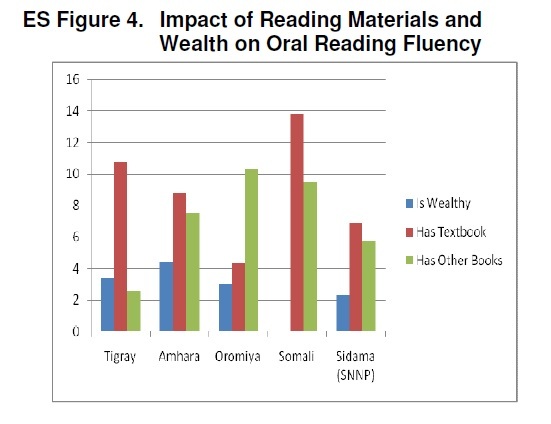 This is underscored by a key question that everyone is asking: JUST HOW DOES REORDERING THE AFAAN OROMO ALPHABET IMPROVE READING AND LEARNING OUTCOMES? Those involved in the curriculum development insist that a determination was made based on a linguistic study and “L” — the first word in the new Afaan Oromo alphabet order — is not only easy to vocalize and write for young pupils but it is also the most frequently used letter (sound) in the Oromo language. 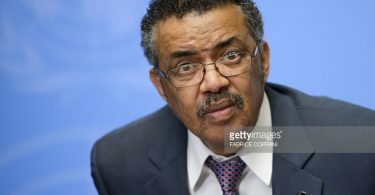 In August 2015, Tolemariam Tufa, a professor at Addis Ababa University and one of the key players behind the redesign, claimed without providing specifics that a computer software that calculates letter frequencies was used to confirm this. It is entirely possible that RTI and USAID conducted additional — perhaps a yet to be published study — providing the rationale for the Afaan Oromo alphabet change. But in the absence of such data, there is probable cause to suspect foul play either from federal and regional authorities or an ill-informed tyranny of experts for this hair-raising change. The adoption of Qubee and the development of Afaan Oromo as a written language is one of the most enduring gains of the Oromo struggle. The political repression and marginalization that followed emperor Menelik II’s war of conquest meant that the Oromo had lost much of its culture and civilizations. But for the most part, the Oromo language remained intact. Still, it took relentless struggle and immense sacrifices to make Oromo a written language. From Onesmos Nasib, who translated the bible into the Oromo language in the 1880s, to Sheik Bakri Saphalo, Sheik Muhammad Rashad Abdule to Haile Fida and Abdullahi Yusuf, pioneer Oromo linguists strived often under difficult circumstances to find a suitable writing system for Afaan Oromo. Millions died fighting to enable Oromo children to learn in their own mother tongue. The adoption of Qubee — with the steadfast leadership of the Oromo Liberation Front in the 1990s — was welcomed and embraced by all Oromos across political and other divides. All told, even with its many shortcomings, the Oromia Education Bureau deserves our respect for the remarkable work it has done to grow the Oromo language to the height it now enjoys in the country. Some Afaan Oromo departments now offer a Ph.D. program. In the intervening years, many songs, including alphabet songs for children, have been sung and produced. The Qubee as we know it — ABCD — is now part of the Oromo consciousness. 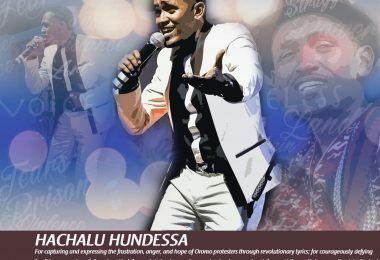 A generation of Oromo youth came of age singing that song. It is indeed a unifying national anthem for Oromo children. Despite dialect variations, every child in Oromia first learns the ABCD. It is the thread that binds together the hopes, dreams and aspirations of a generation that is now revolting against the government. This is the context that is missing from the RTI study. The lack of this appropriate context suggests little understanding and appreciation for the historical nuances and political sensitivities around Qubee. Ultimately, the Ministry of Education and its foreign NGO partners are now attempting to undo the progress made over the past two decades to develop Afaan Oromo. Its success as a language of instruction and business hinged on popular acceptance and the Latin script’s suitability for the language. That’s why the latest changes could easily erase and tarnish the Oromo People’s Democratic Organization (OPDO’s) contribution to the development of Qubee. A swift and furious opposition is already gathering momentum online. So far the emerging consensus seems to be that the altering of Qubee is an assault on Oromummaa itself. Ethiopia is in the midst of a stifling state of emergency that was declared last October to quell widespread protests. Left unaddressed, the Qubee fiasco will add to the growing list of public grievances. It will also widen the gap and mistrust between the government and the public. This could also dodge and frustrate OPDO’s ongoing bid to regain some lost ground after facing statewide rejection by the largely youthful protesters. 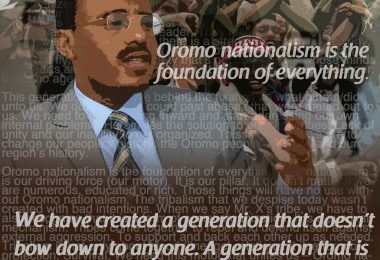 If that happens, it will be a historical mistake from which the OPDO may never recover.